Here is a simple game that requires paper, pencil and one die. Player one rolls a die. To start your drawing you must roll a #1. When you roll the #1, you can draw the first item. Next player rolls and again must roll a #1 to start. If you do not roll a #1 your turn is over. Continue taking turns but now each time you roll you can draw the corresponding picture with the number. Once you roll the numbers 2-6 your drawing will be complete. The first player to complete the drawing is the winner! 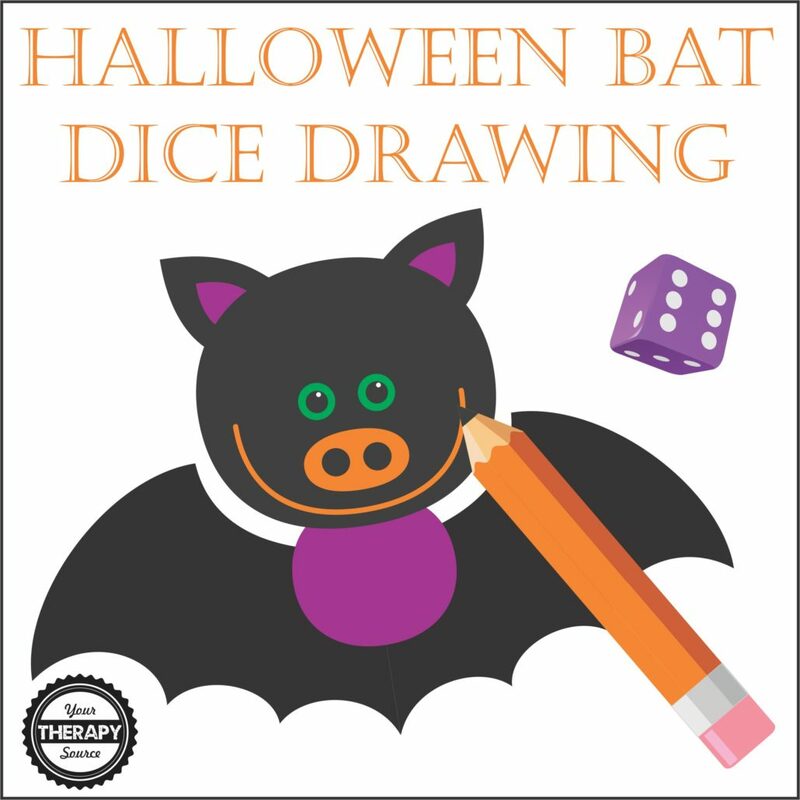 For this dice drawing game, the children can practice drawing a Halloween bat. This freebie is from the Halloween Sensory Motor Packet. 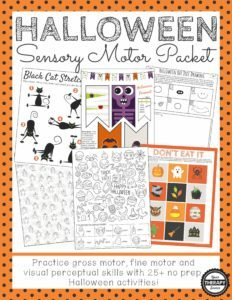 For more Halloween activities, check out the Halloween Sensory Motor Packet or the Halloween Bundle! For more dice activities, check out Dice Drawing. It is a fun way to practice drawing simple pictures. 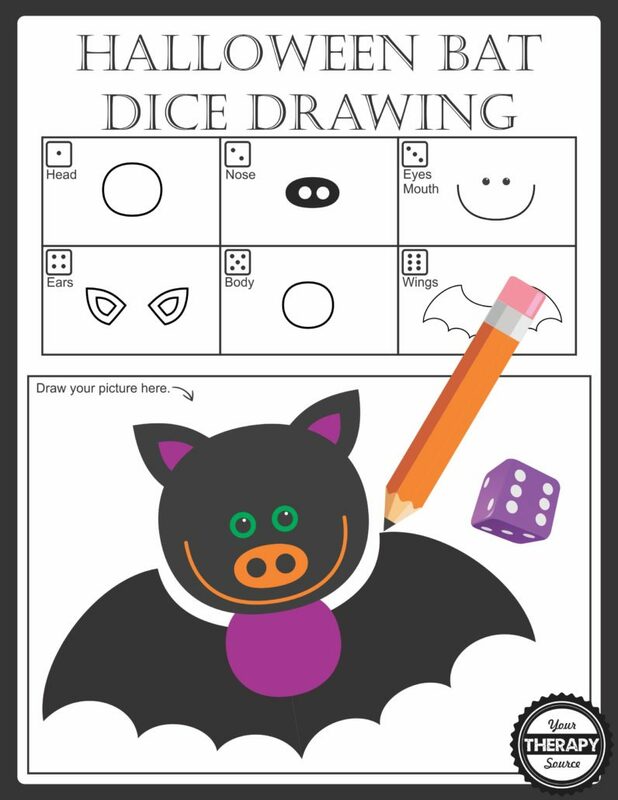 The download includes 20 dice drawing game pages: 15 simple animals and 5 faces. This document is in black and white.This download encourages fine motor skills, visual motor skills, and visual perceptual skills. The activities are reproducible to use over and over again with all the children that you teach. Check out Roll Some Fun Brain Breaks: Download of 12 print and play games that encourage visual motor and sensory motor skills.